Home / Featured / Live + Learn / OMG, that’s BAD for me TOO?! The short answer is yes and the long answer is… likely. 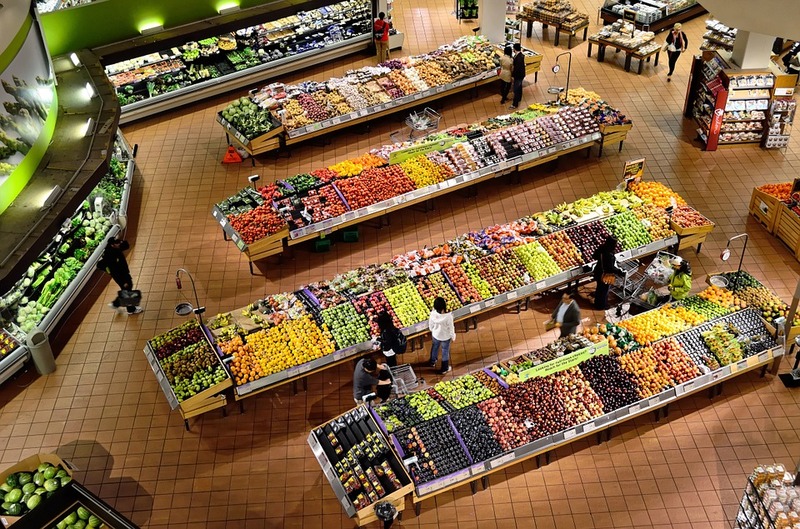 If I went grocery shopping for only what was the ABSOLUTE best things for my body, it would be pretty boring and mostly located in the produce section. Imagine, the middle of the store, empty, except for like, a jar of sauerkraut and a vanilla bean. And yes that’s right, it’s only a little bit and no it won’t kill you, at least not in the immediate sense (like eating a pop tart and dropping dead.) However, junk food can kill you slowly, for example showing itself in the form of chronic pain, lack of energy and anything else funky with the body that you can think of. Including your funky armpits, LOL. Yes, the wonderful thing about being human is that we are incredible machines that can survive under the worst conditions, but to make matters worse this is the same “only a little bit” logic that companies use when making crappy food. It is also the same logic that the government agencies use to allow them to do it in the first place. Cheap food is big business. Food companies are already cheating you…so don’t cheat yourself. The reality is, most processed foods are more for your entertainment, enjoyment, convenience and most importantly, your comfort. I feel bad for people that feel bad because they love crap food. Of course they do! Its scientifically created to over-stimulate our tastebuds. What I don’t feel bad for are people that don’t do anything about it. Because “all of this is easier said and done,” right? The idea that your diet needs to be always “all or nothing” keeps many people in a vicious cycle of nothing. Unless you have a medical condition, I suggest starting small for longer lasting results. For example, replacing your heavy breakfast with a green smoothie or drinking more water per day are things that you can see the results of quickly. One of the most important things I do is ban certain foods from my home. Only at home do I have complete control of what’s going on, from start to finish so I cook from scratch as much as possible. Although I don’t do dietary labels, my day-to-day diet is usually 80/20, meaning 80% of the food I eat is whole, unprocessed, raw and plant based and 20% will possibly be the crap I come across when I’m out. For most of us social settings are when things sneak in and unless I’m sick, I try to deal with it (see my post on “How to Avoid a Holiday Food Fight”). Let’s face it, food opinions are like you-know-whats, everyone has one and unfortunately we don’t always have control of what we have available to eat… especially around grandmas, anyone’s grandma. Got any tips on keeping junk out of the kitchen? Let us know in the comments below!